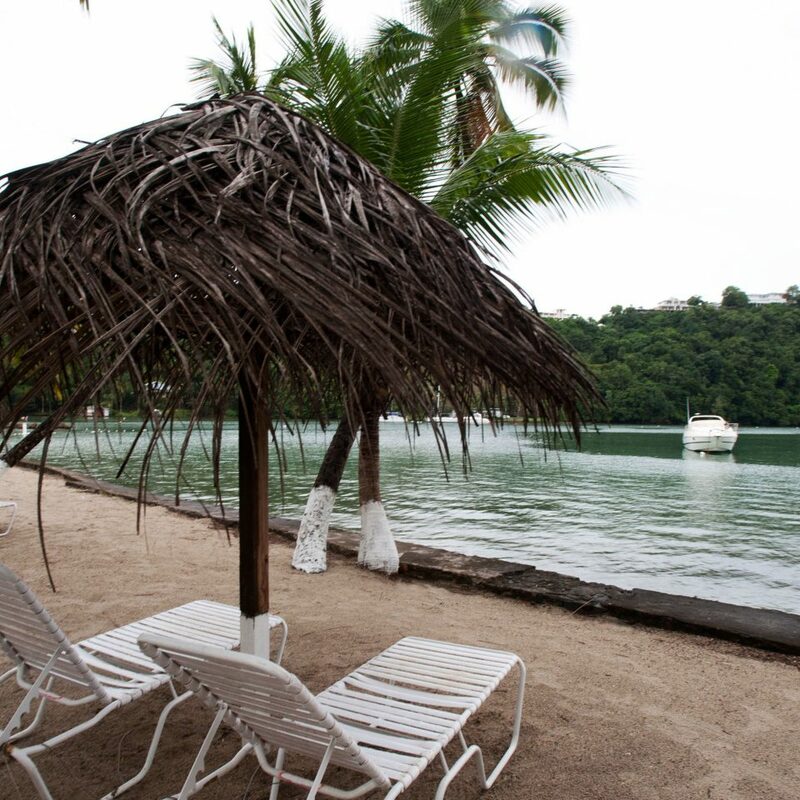 Heralded as one of the Caribbean’s best kept secrets, Marigot Beach Club & Dive Resort is a relaxing, rainforest-enshrouded retreat on the lush Windward Island of St. Lucia. 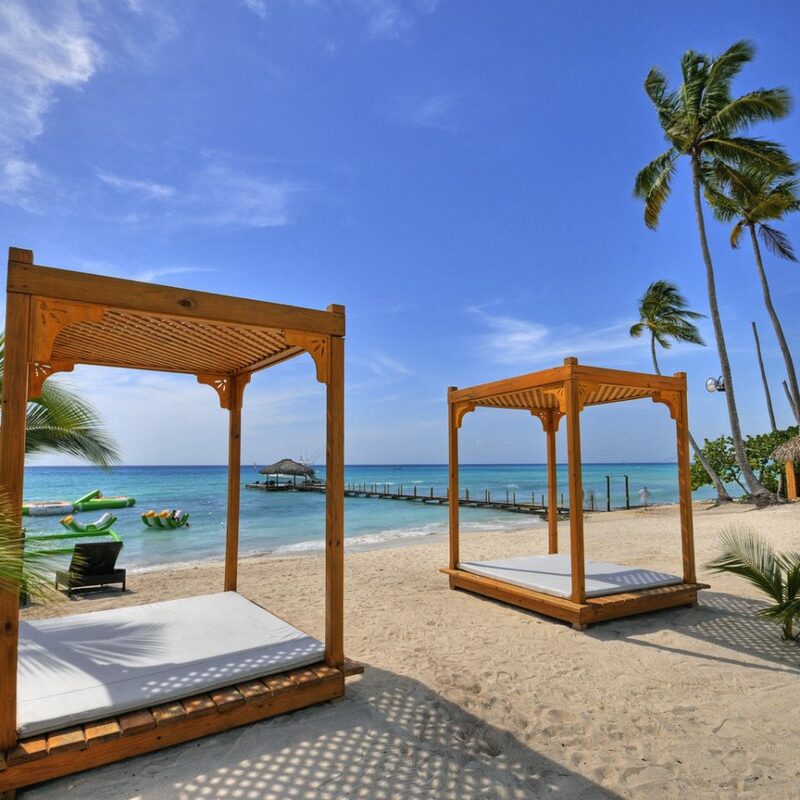 Accessible only by boat, the resort sits on the edge of a secluded, white-sand beach, so you can spot sunbathing crabs and coral-skimming parrotfish during the day and swooping bats and gliding rays after dark. Meals at Dolittle’s Restaurant and Bar are comprised of fresh, locally sourced ingredients. 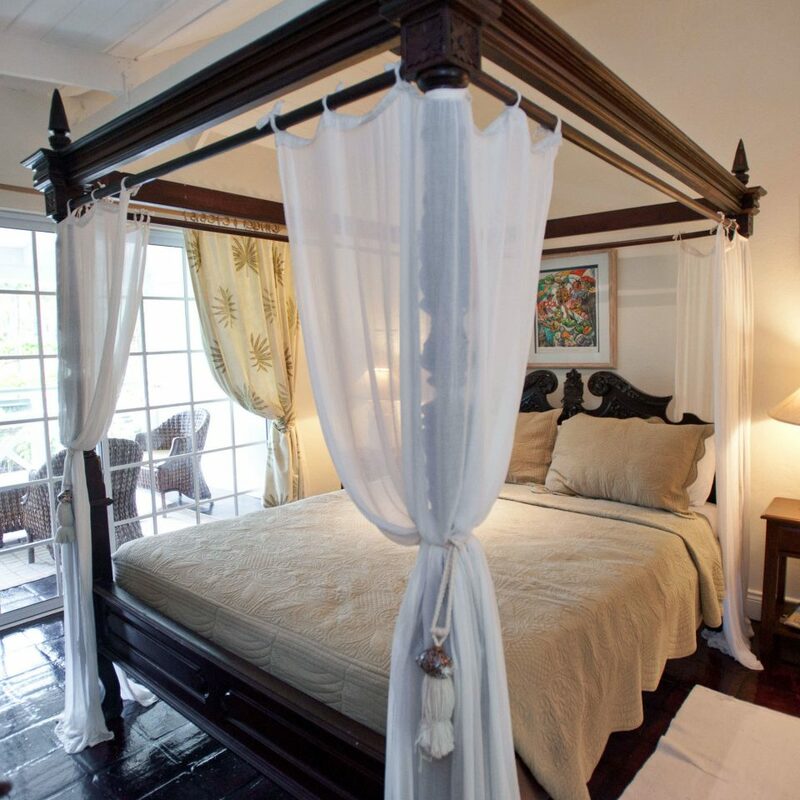 Take an afternoon nap by the side of the palm-shaded freshwater pool or in your peaceful, luxurious room or villa with stunning views of Marigot Bay. If up-tempo is more your style, try power-walking through the rainforest, driving through a volcano, gliding through the Caribbean on a 34-ft. power boat or snorkeling through a sea of colorful aquatic life. 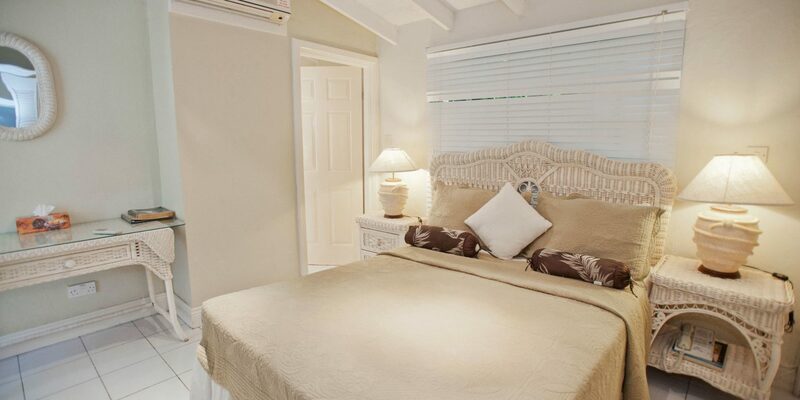 Breezy ceiling fans and air conditioning keep the stylishly appointed studios and villas cool. 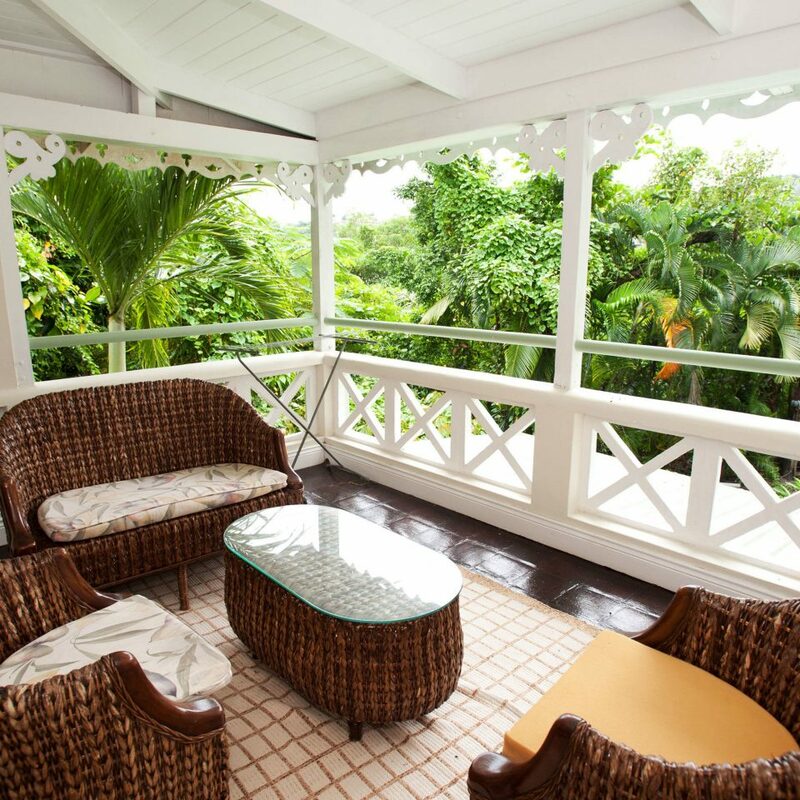 Both the Panorama Deluxe rooms and Firefly studios feature their own outside spaces and views of Marigot Bay, so you’ll have a little piece of paradise no matter what. Perched on a hillside overlooking the water, Firefly studios come with a full kitchen, while Panorama Deluxe rooms boast a large balcony. 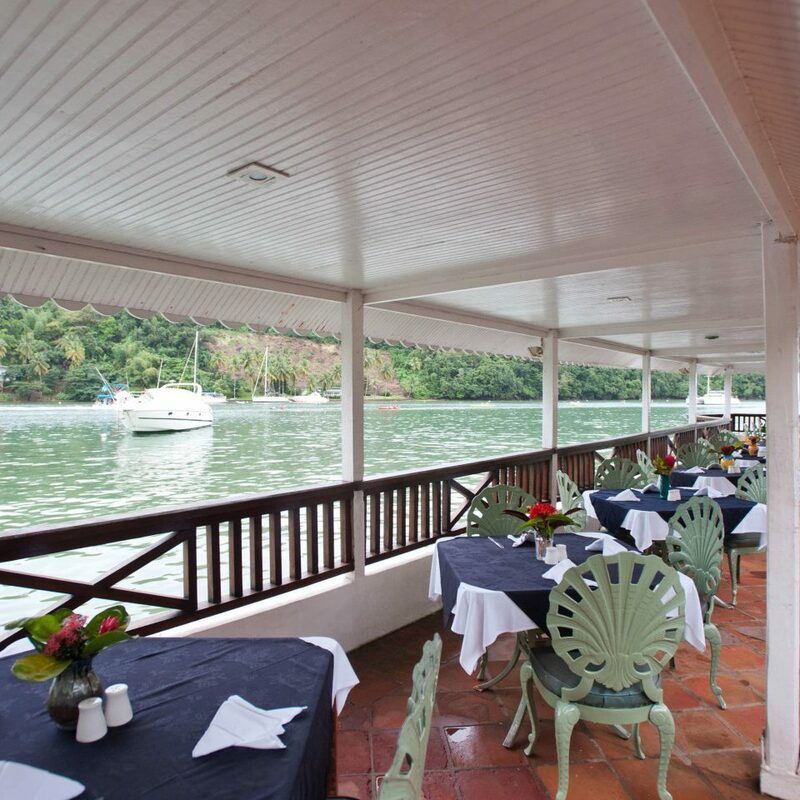 Dolittle’s Restaurant and Bar offers al fresco dining in a tropical setting, serving up sumptuous dishes with the freshest local ingredients. Try the grilled sea scallops followed by the wild mahi-mahi, washed down with something from the fruity cocktail list. The Soothing Touch Spa and Wellness Retreat offers a range of therapies, treatments and facilities to leave you feeling thoroughly pampered and rejuvenated. Find peace with transcendental meditation and yoga, relax with a full-body massage or reflexology, and rid your body of toxins in the sauna and steam room. 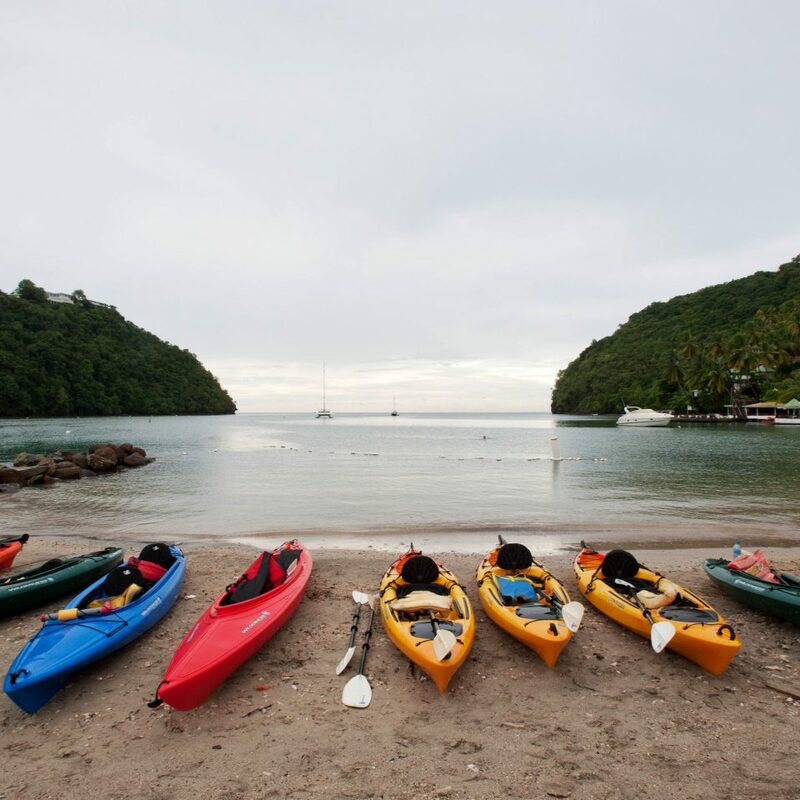 Despite its wonderfully secluded location, Marigot Beach Club and the island of St. Lucia offer endless opportunities for packing your days full. Shop, dive, snorkel, hike, visit one of the island’s historical sites or simply relax and take in your spectacular tropical surroundings. 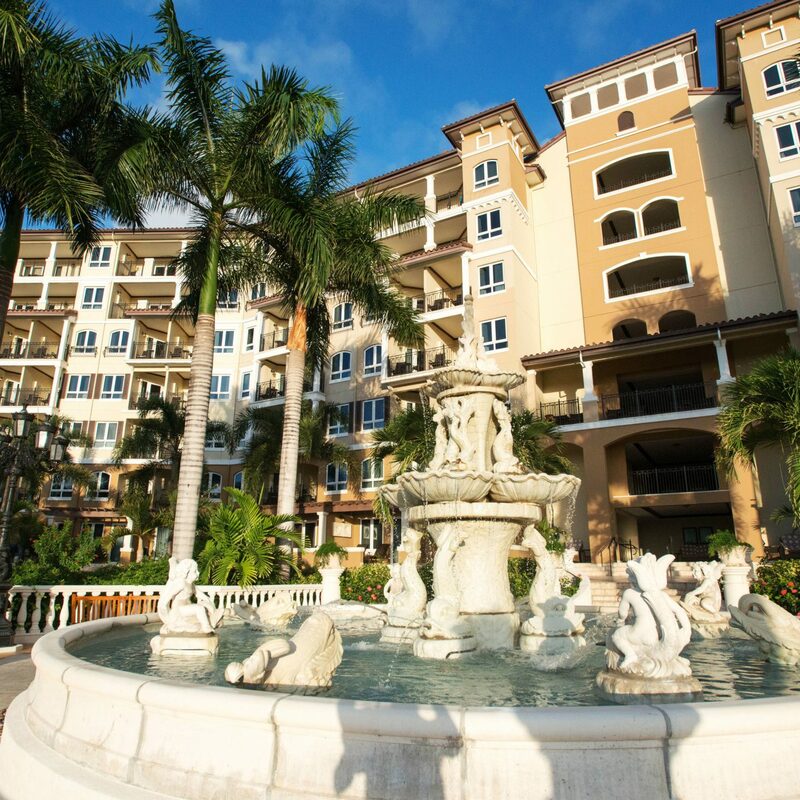 Visit Rodney Bay and Castries for shopping and partying, see the island by boat or take an open-top ride to discover waterfalls and rainforests. Unfortunately our experience with Marigot Bay wasn’t as nice as we hoped it would be... we booked our room at a good rate through Airbnb, but they must save the “crappy” rooms for those guests... all the pictures of rooms advertised on Airbnb was not what we got. There they only advertised the “nicer” rooms and suits. We truly are NOT picky people and we are completely realistic when it comes to knowing things we do and don’t need when staying somewhere on vacation. We stayed here for two weeks after staying at a local-private accommodation two weeks prior. Before booking through Airbnb, we made sure to ask if there was a kitchenette and there was. We are the type of people that won’t go out for breakfast every day and like to prepare our own food and snacks for our full day of adventuring! We typically only go out to eat once a day, usually around dinner time. We arrived at Marigot Bay, and our room wasn’t ready yet, which is fine because we were early. We expected a short wait, which isn’t a big deal with the beach and chairs right on site. We were also told the people before us had only JUST left... this was a little after 1pm- checkout time is at 12pm and I believe check in time is for 2pm. Our room was finally ready at 2:30pm. Again. Not a big deal to wait but for some people who demand pristine service, would not be happy... especially if they had just gotten off an airplane with all their luggage. A super nice man helped with our bags and brought us up to our room. The space was MUCH smaller than expected- small galley “kitchen”, just enough room for a desk, bed, decent sized bathroom, and a good sized patio with a small table and chairs. BUT no more or less than what we need. The man who brought us reviewed our room, made sure the AC and lights were working. All is good. Our review of the following is NO reflection on the staff (who were always delightful) but more the owner/management failing to give direction on upkeep. Kitchen: basic cutlery, cooking supplies, kettle, toaster, mini fridge, dish soap/sponge, small plug in cook top, pans, bowls, cups... only ONE plate (which we asked three times on separate occasions to have a second brought to our room, never happened so we gave up) and no microwave. That was a huge disappointment. We asked later about getting one and it wasn’t possible. If we wanted anything heated up they said there were microwaves all over the resort with the exception of the office and we could use those... not true. I could see there being one at Doolittle’s, but we felt that insulting to ask a restaurant to heat up our own personal food if we aren’t eating there... so we made due. Only one horrible dim light for the kitchen space. Sometimes it was so dark we had to bring out our flashlight. Bathroom: The towel rack in the bathroom was completely broken as well as a light in the top corner of the bathroom. Shower head had good pressure (thank goodness) but you’re lucky if the water isn’t flashing between scolding hot or freezing cold. Be prepared to play with that knob! Good amount of towels. Bedroom: Overall clean, mattress was decent, was thrilled with the pillows (foam and feather options), nice sheets, careful not to smash into the bed corners... big bed for a small space; tv had a decent picture and signal (if we ever bothered to turn it on), wifi HORRIBLE. I couldn’t even say the patio was that much better for signal, it was great anywhere other than the room. Disappointing when trying to stay in touch with family. The best was at Doolittle’s... but that’s a whole other review in itself. The Grounds: Pathways were always clear of debris but as soon as you got to the beach it looked neglected. Pool looked nice but never used it, wishing it had some shade! For a resort thats in “the nicest bay in the Caribbean” it’s not. We have traveled for months at a time to other islands, this one was nothing to shout about. The sand could use a good rake just to gather all the dead leaves and cigarette butts. Can honestly say we sat on the beach twice here for short periods of time. Some chairs were beyond bad- metal broken or torn fabric, and it was slim pickings after people claimed the good ones with their towels. Only nice chairs were along Doolittle’s. Too many tourists coming in on the catamarans, making it not tranquil at all. The side of the beach where the local ferry comes in, is very run down. Garbage littered (in and out of the water!) and remains from fires scattered. Again. Nothing compared to what’s advertised in pictures. Very happy with the free ferry provided by the resort, and was nice to strike up conversation with the driver! Another downer is the ferry broke twice while we were there, meaning it took awhile of waiting to finally ask someone what was going on. Therefore we had to use the public one (no charge at least). Overall I would be cautious when choosing to stay here. It was disappointing to say the least. We would have much rather done something private and local again, rather than this “resort”. They say you get what you pay for- we did not. 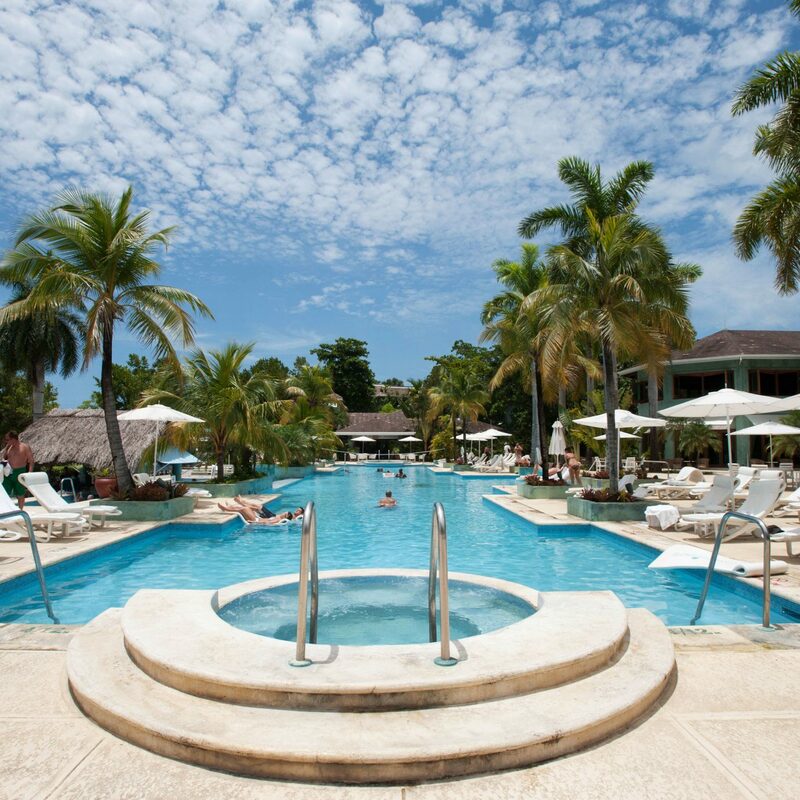 Much better deals and places to be had in St. Lucia for the same price! Make sure you don’t get room 56- the critters that came out at night were fun to see at least! And keep an eye out for the Pepsi Puppy! She was a joy and always up for a good scratch. The Staff is quite good and very friendly, The food in the restaurant is good but not the local food I really like. 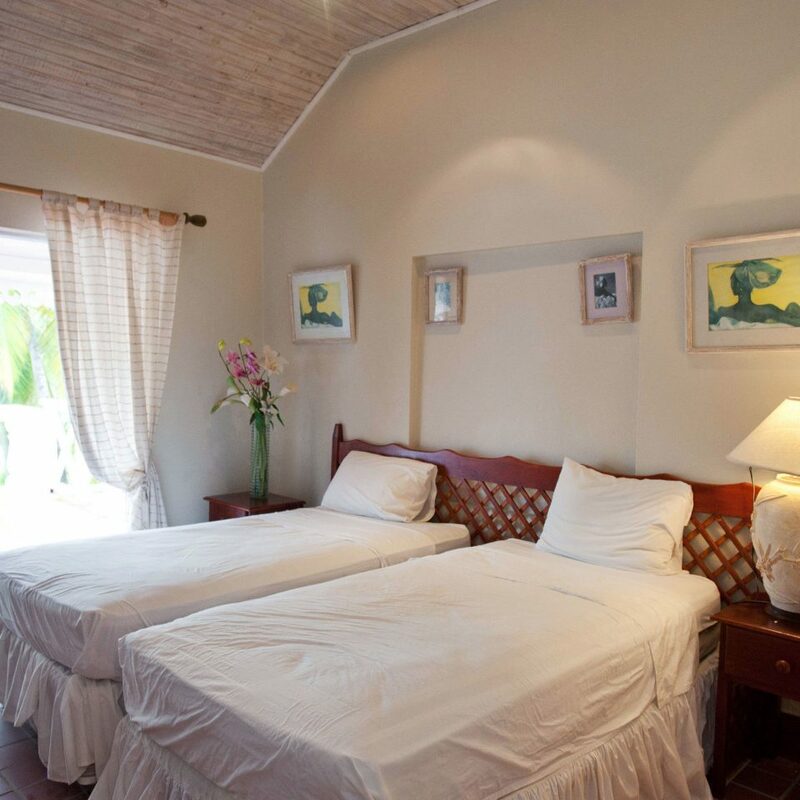 The rooms are need of a remodel, they are typical old school Caribbean rooms. With that said we did enjoy our stay. The hotel is only available by boat but it is a short ride on a small ferry boat that runs constantly. If your going late at night you need to give the hotel notice so you can be sure you have a ride.There are several excellent really local restaurants near by and always a taxi waiting to take you anywhere you want. 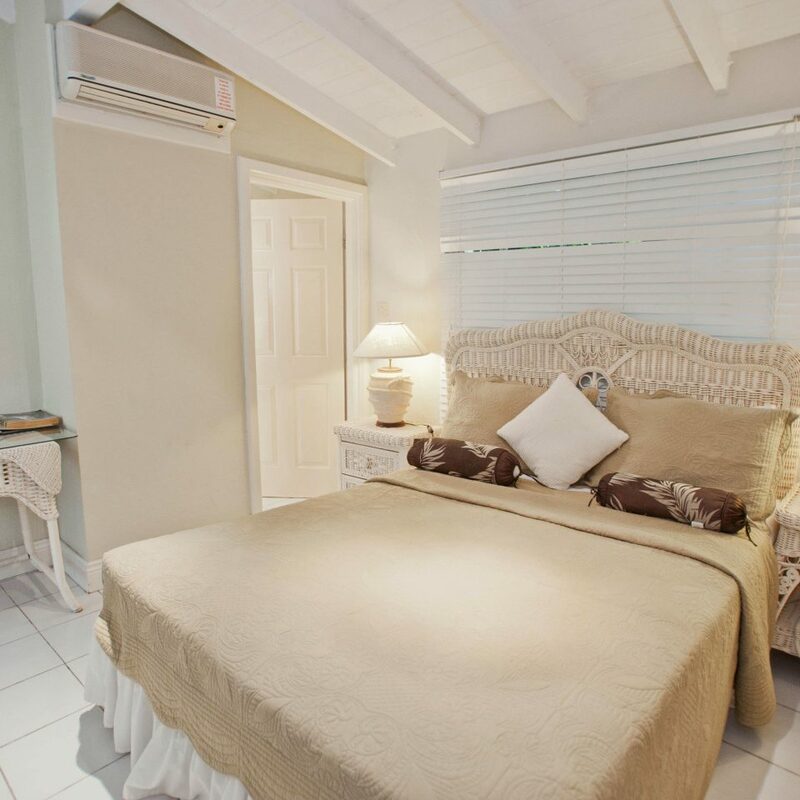 If you want a beautiful Caribbean panorama, surrounded by palm trees, with crystal clear waters lapping gently on the shoreline, then this is the place for you. It’s so beautiful it’s almost a cliche. A free ferry service takes you from one side of the bay to the other in just a couple of minutes, where you can enjoy other small bares and restaurants. The pace is slow and everyone is friendly and helpful. 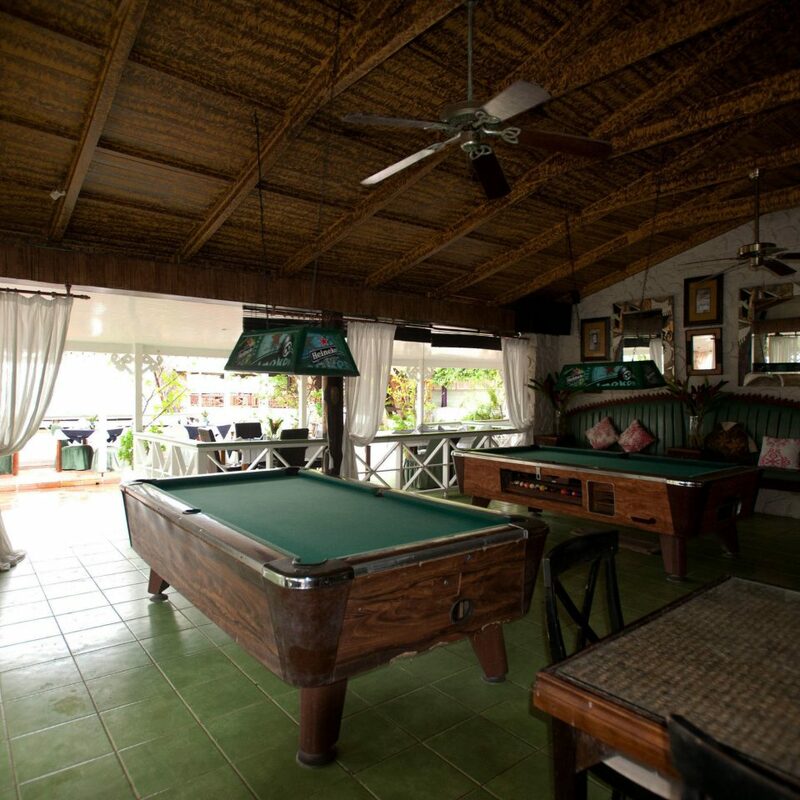 As to the resort, the bar is large and airy, but can be pricey if you’re not taking advantage of the happy hour offers, but the quality is very good. 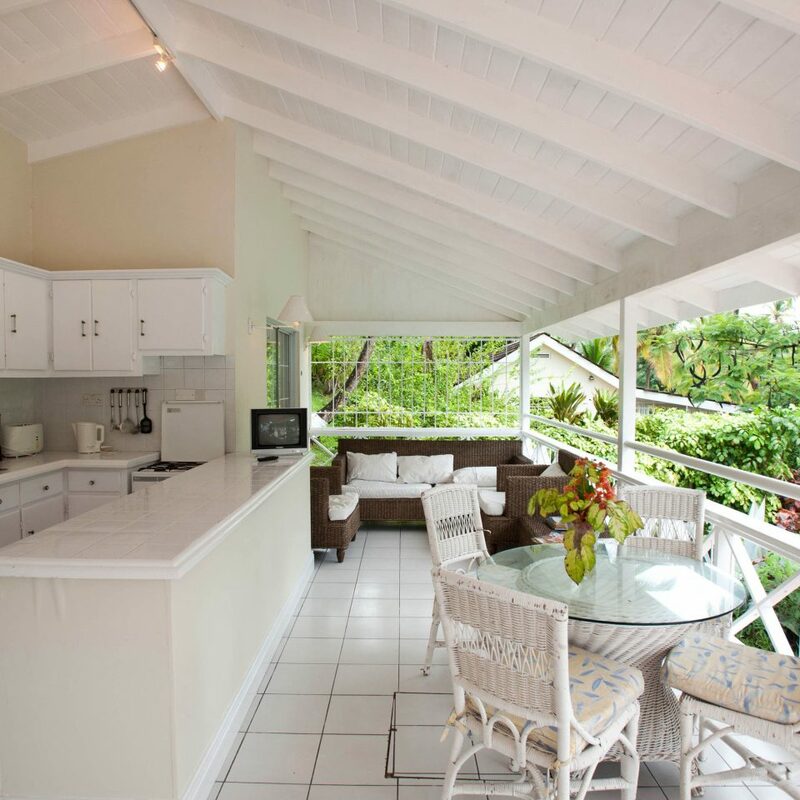 The rooms and suites are fine, but the bathrooms and kitchens are clearly in need of modernisation, so if you want 5 star luxury here, you need to look at some of Marigot Bay’s more expensive resorts. Personally, as the room was clean, well equipped, with a lovely bed and air conditioned, I was very happy, as most of my time was spend outside at the beautiful resort. As someone who can’t often afford this sort of luxury, my memories will be the beautiful bay, stunning sunsets, clear blue waters, the abundance of birds, including the magical little humming birds and the friendly bullfinches, who come right to your table,the friendly staff and the knowledge that I’m visiting a very special place, and not the fact that the shower could be better, or the kitchen was a little old fashioned. 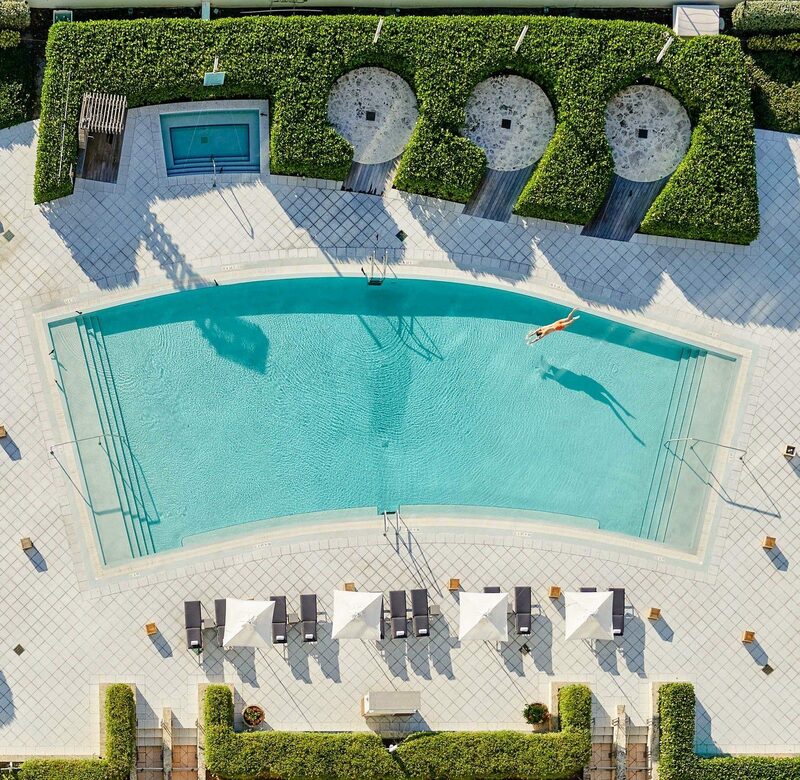 You are paying for the location, and that is undoubtedly world class. We had a great time at Marigot Beach! The island is just beautiful! 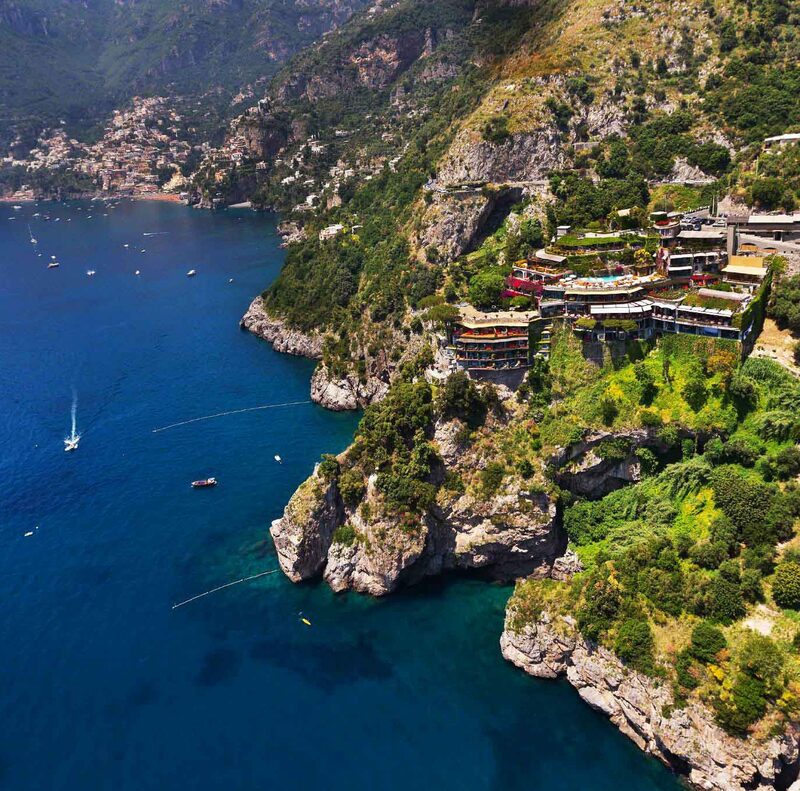 It is quite secluded, you have to take the small ferry from the main land to get to the resort. There are a few restaurants around the marina area, which are all accessible by the ferry which is free. Half of the beach area is occupied by the locals, who try selling you goods, etc. 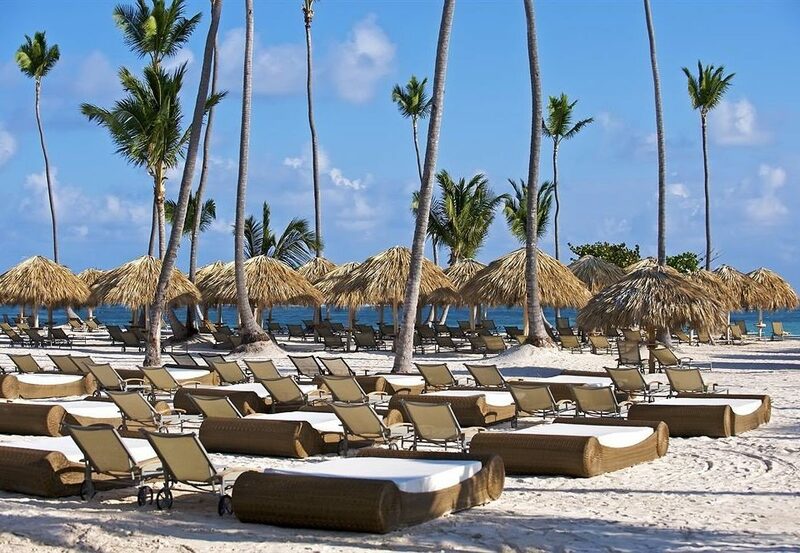 The resort half is kept nice, there are chairs and umbrellas just for guests. The local side isn't so concerned about trash on the ground, which bothers me. Overall, we felt safe, though. The sunset over Marigot Bay was awesome every night! The location is perfect. Nestled in a beautiful bay with palm trees and clam waters. Our room was small be well appointed and with a balcony overlooking the beach. Idyllic with boats coming and going all day. Air conditioning worked well and plenty of hot water in the shower. Basin is set a bit high for average height guests. Small kitchen area with coffee maker and kettle ( needs to be replaced ) but not well equipped for cooking. The resort boasts 4 stars but is very tired and needs some money being spent on it. 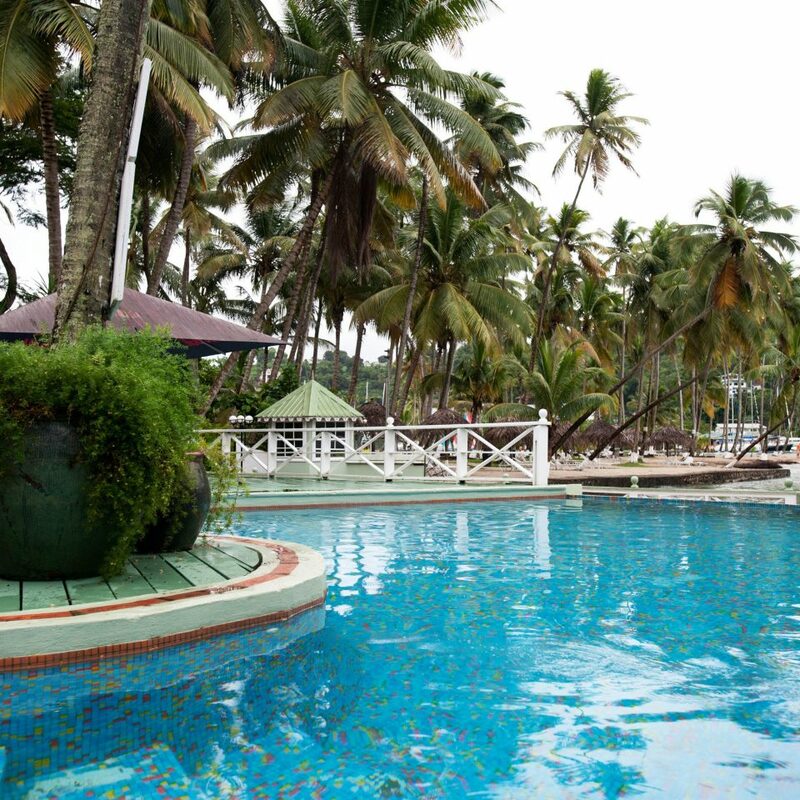 I understand that the owner may want to see the resort which is possibly why there is a lack of investment. The staff are wonderfully friendly and helpful. I have two pieces of advice. One is to make your own arrangements for taxi services and not through the hotel. They only use one taxi company and I'm afraid that their pricing was not what it should have been. There is a taxi office at the marina on the other side other bay ( Doolittle's ferry takes you across at mo charge ). The second thing is DO NOT forget mosquito repellent and anti itch cream.